Today we are thrilled to release version 2.0 of Sugar Calendar! This version includes significant improvements, new features, and a number of bug fixes and other enhancements. 2.0 is a complete re-write of the plugin from the ground-up with an intense focus on the underlying events database. Focusing on the database was critically important to ensure we can build Sugar Calendar into the full-featured platform we’ve been hinting at for the past year. With the new database structure we’ve been able to significantly improve performance and scalability of Sugar Calendar. 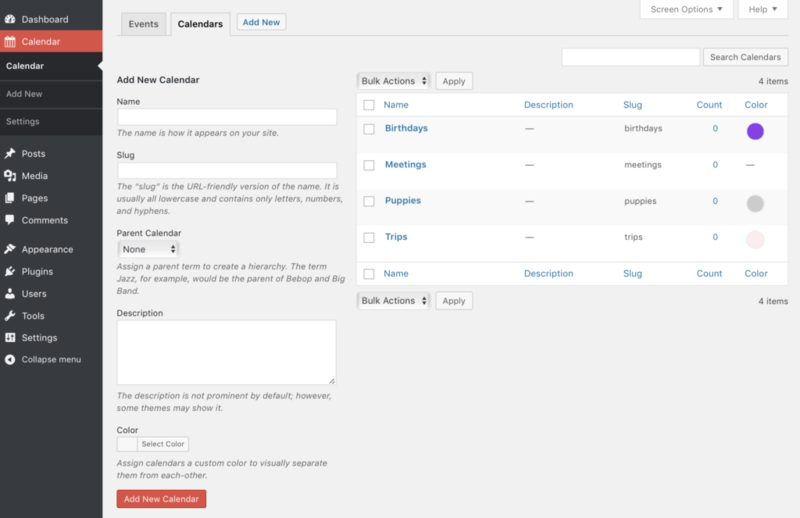 It also provides us a lot more flexibility for future features, such as advanced recurring events, better event scheduling, and more date-based features. The new database, however, is not the only thing new in 2.0. 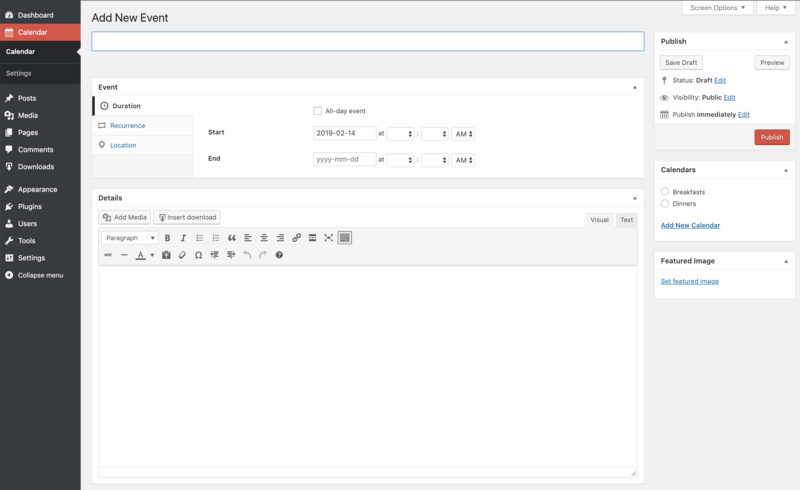 We have also completely rebuilt the user interface of the plugin in order to set the foundation for the features we’ll be rolling out in the coming months. Upon installing version 2.0, site administrators will be shown a database upgrade notice. This upgrade routine will migrate the existing events to the new database schema. Depending on the number of events on the site, this upgrade could take a few moments or even several hours. If you have a large database, please be patient and allow it to finish migrating all of the data. 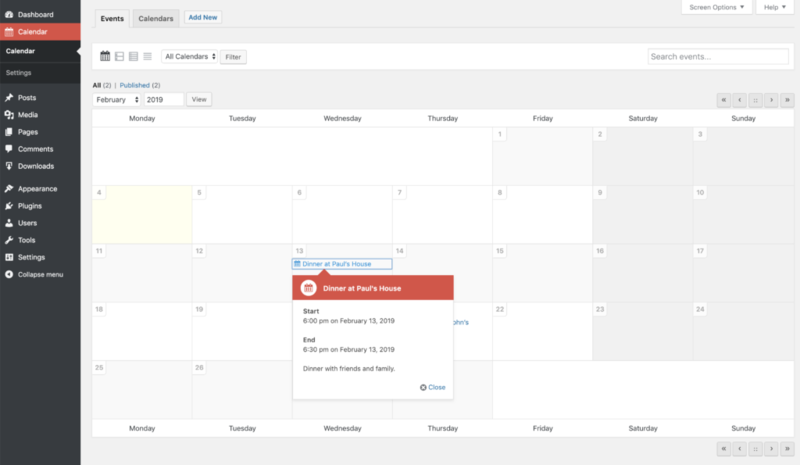 By default site owners are shown a monthly calendar view, but this can be changed to a weekly view, daily view, or even list view. 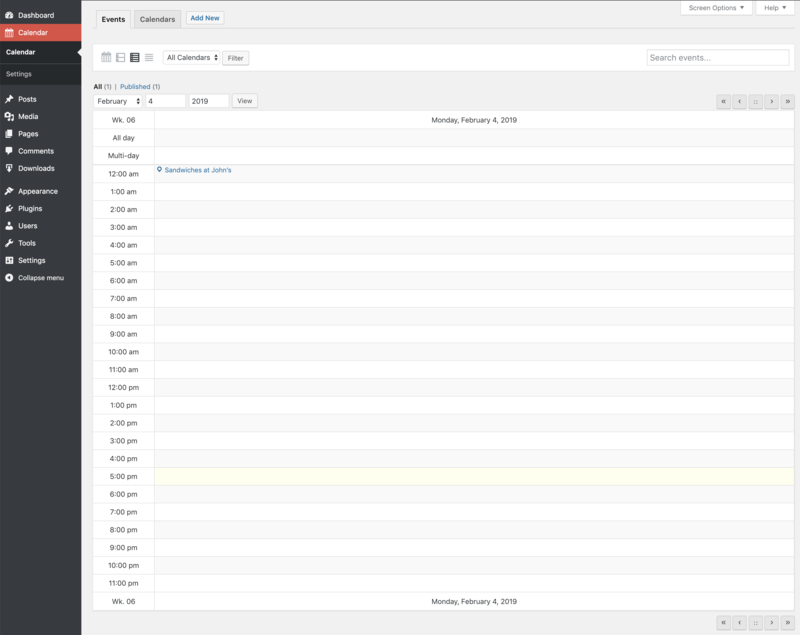 In version 2.0, we have improved recurring events in several ways. 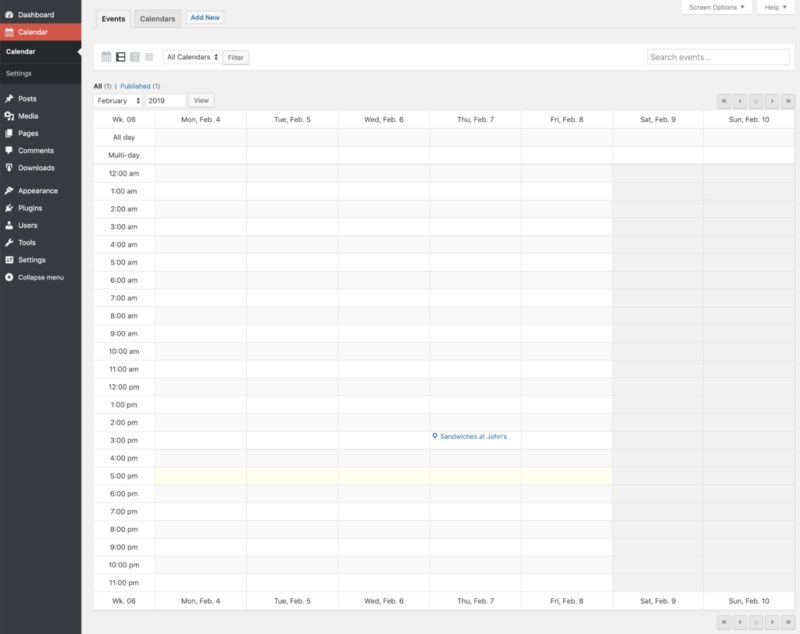 First, we have significantly enhanced the performance of recurring events, making your calendar pages faster and more reliable. 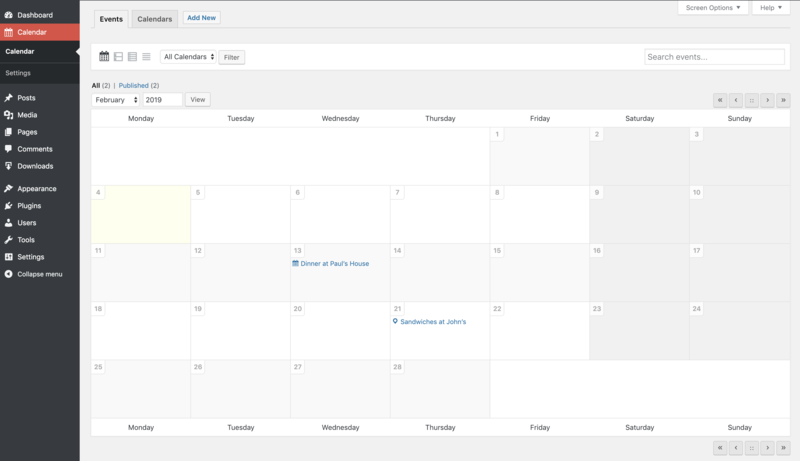 Second, we have added support for events that recur every day, adding to the existing support for weekly, monthly, and yearly events. To more closely mirror other existing calendar applications, the “Categories” taxonomy has been renamed to “Calendars.” We all organize our events differently, but we’ve found that rarely do event categories overlap, so we’ve simplified this a bit and tried to make it feel a bit more natural and familiar. 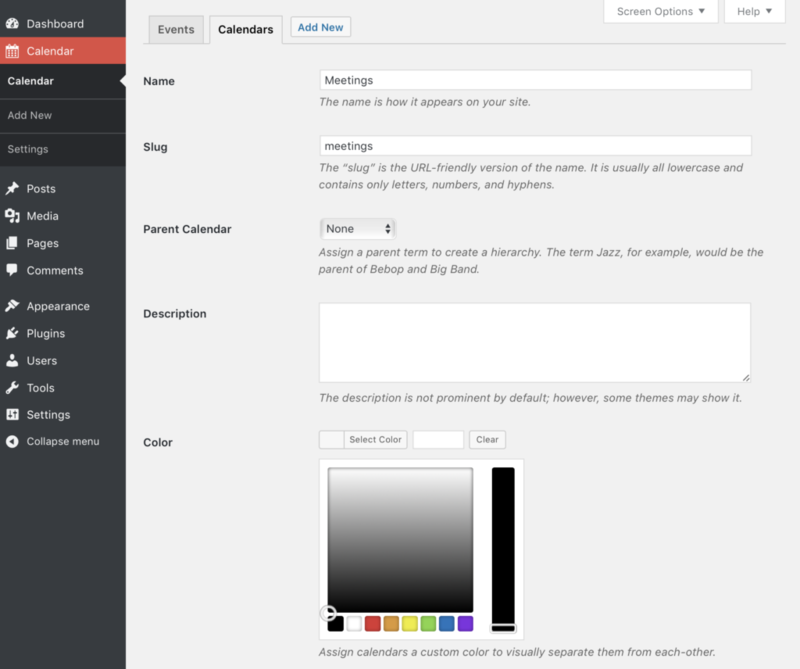 We’ve also added support for calendar colors, so now you’ll be able to visually tell what events belong to which calendars. This function can be used to create a new event. This function can be used to delete an event. This function can be used to update an existing event. This function can be used to retrieve an event from the database. This function can be used to retrieve an event from the database by a specific field. This function can be used to retrieve an event via its associated WordPress post object. This function can be used to retrieve an array of event objects. To help control what logged-in users can see in the admin area in relation to events, we have introduced a series of new capabilities. Version 2.0 is available today and can be downloaded from your account page or installed directly from your WordPress Plugins page if the plugin is already installed with a valid license key. If you do not yet own a license key, visit our Pricing page. If your license is expired, you may renew it from your account page and then 2.0 will be available to download once the renewal is completed.